“Hiring a wedding car is much more than just getting to the ceremony. Your journey is one of the last few moments before your married life starts.” Maxine & Paul Jones. 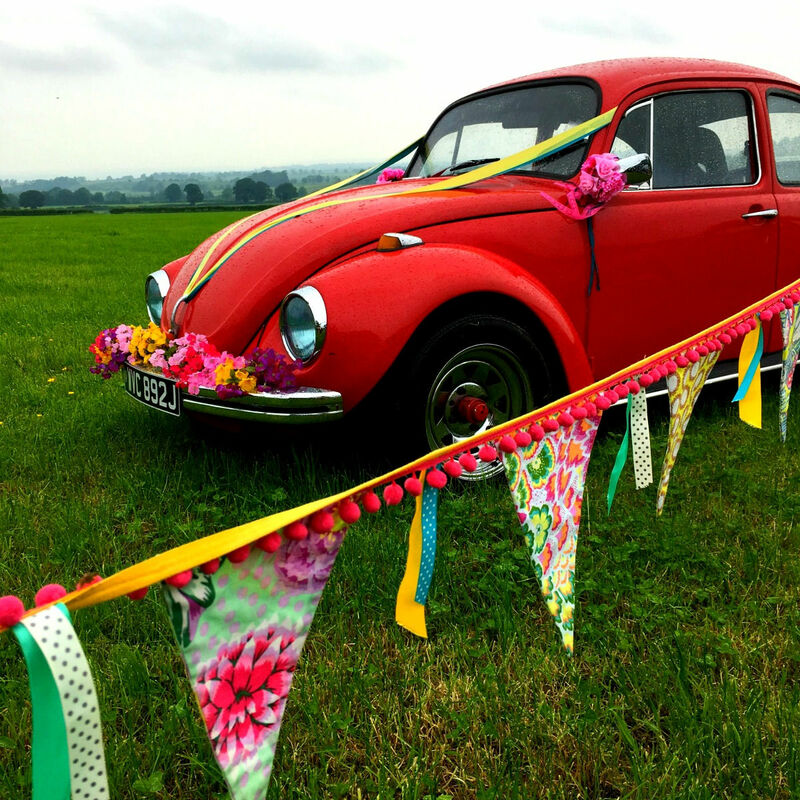 How did the LoveBug Wedding Car business come about? Paul and I met through VWs, at the time we had 7 between us! But over the years we gradually sold them all. 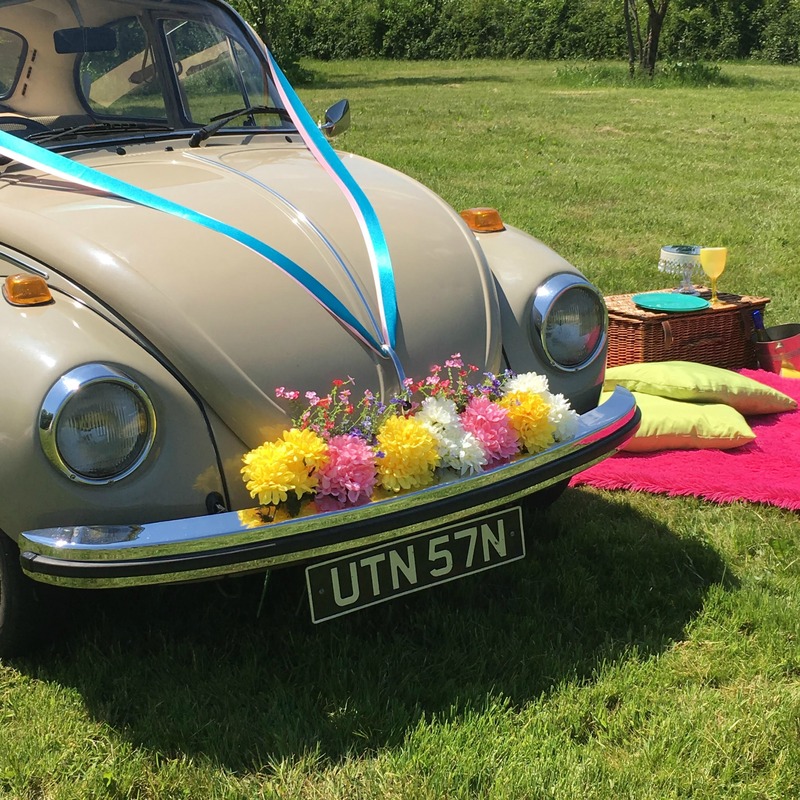 Hettie was the first VW Beetle we bought after that break and as soon as I (Maxine) saw her I knew she would be the perfect wedding car. I offered her to the wedding car company I was currently driving for and when they turned her down we started up our own company…The rest is history! What is your vision / future plans for the business? Our time so far has been amazing, sharing the most special day of so many couples! We hate turning away couples because we are already booked so are currently looking for another camper to add to our range!! We are also now offering digital download ‘guides for brides’ and have just started a sister company hiring wool and tweed jackets for relaxed weddings. Which vehicle is the most popular with your couples and why? We don’t have just one, both Lily (our Camper) and Hettie (our original Beetle) are extremely popular. 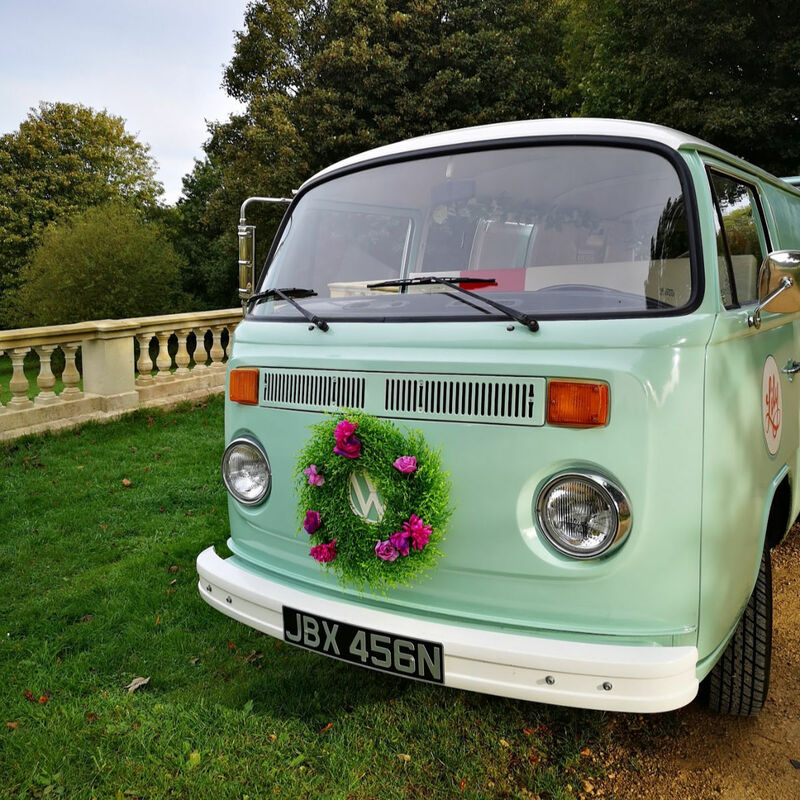 Our camper seats up to 7 so it’s very popular for bridal parties or the groom and his ushers but brides also appreciate the room inside and keep it for themselves too. Couples choose Hettie for her understated classic style and they just LOVE our vintage leather ‘just married’ suitcase!! What was the most exciting / standout wedding you’ve been involved in? We’ve had so many wonderful weddings it would be too difficult to choose. Each of our weddings has held a special place for us for so many different reasons. Tell us about your involvement with The Sustainable Wedding Movement. 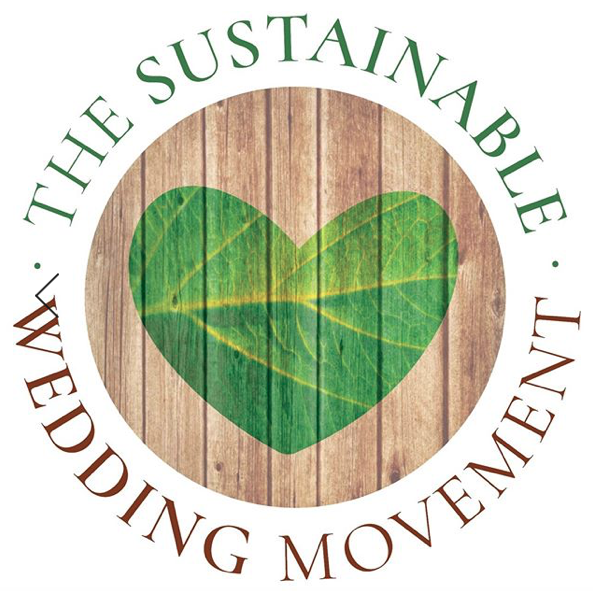 The Sustainable Wedding Movement is a group of wedding businesses who are making profound changes to their practices, ensuring that their environmental impact is minimised, and their ethical duties are upheld. It’s a supportive group where we can share ideas and resources to change our businesses for the better. Personally, we have a strong environmental policy where we have banned single use plastics, are working towards a paperless office and offset all of the carbon we produce on our journeys, but we are always working to improve this further. What makes weddings at Chew Valley Weddings so special? Chew Valley Weddings is such a beautiful peaceful location and the views are simply stunning!